Milly "Selena" evening gown in signature Italian cady. Approx. 63"L from shoulder to hem. 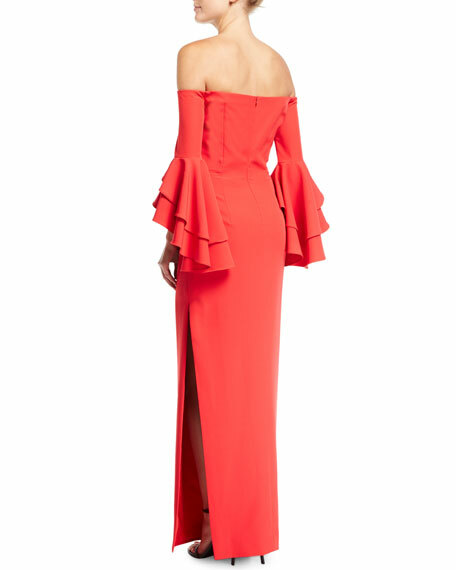 Three-quarter sleeves; double-ruffled bell cuffs. For in-store inquiries, use sku #2320361. Alexandre Vauthier velvet evening gown. Plunging neckline. Strong shoulders. Long sleeves. Slim silhouette. Faux-wrap skirt. High leg slit. Floor-length. Back zip. Cotton; lining, viscose/Elite polyester. Imported. 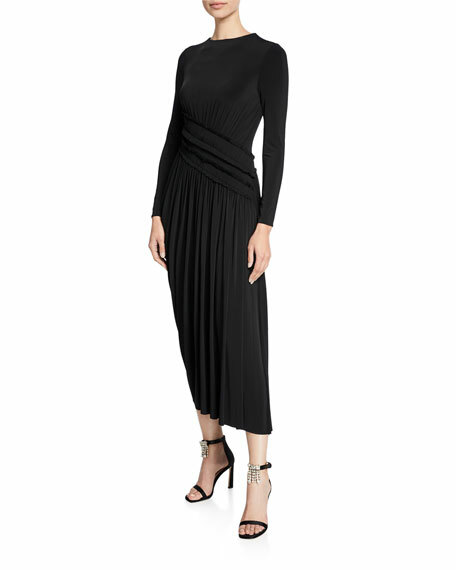 Jason Wu dress in draped jersey, featuring a back mesh inset. Crew neckline. Long sleeves. Draped waist. A-line silhouette. Midi length. Viscose/spandex. Made in USA of imported material. 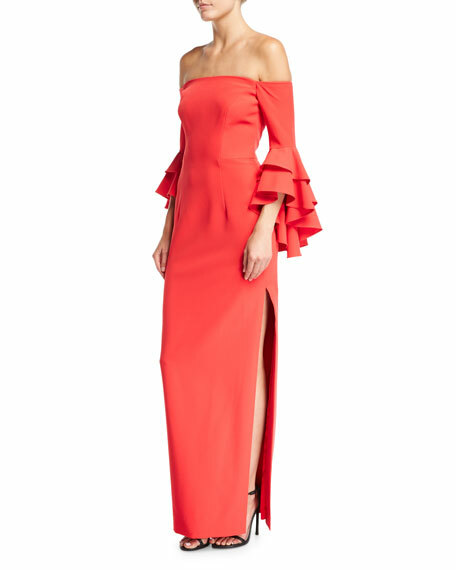 Monique Lhuillier crepe evening gown. Deep V neckline with crystalized trim. Sleeveless; full shoulder coverage. Set-in waist. High, asymmetric slit. Hidden back zip. Floor-length. Polyester self & lining. Made in USA of imported materials.